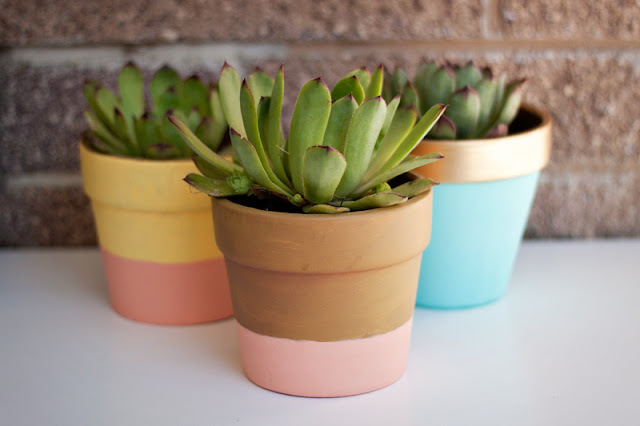 Mustard Me Yellow: DIY Color Blocked Painted Pots. This is a great summer project to add some more greenery to your home or porch. I'm a sucker for succulents but you can use any plant you'd like. First, you'll need a terra cotta pot. 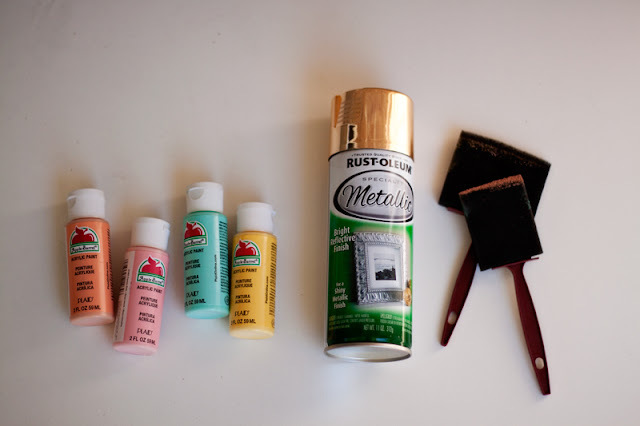 You'll also need some acrylic paint and/or spray paint, and some paint brushes. Make sure you grab some newspaper and go outside if you decide to use spray paint. I just free handed the color blocks but you can use masking tape if you want straighter lines. There are so many ways you can paint your pot (stripes, polka dots, chevron, etc.). After your pot is painted, wait until it is completely dry. 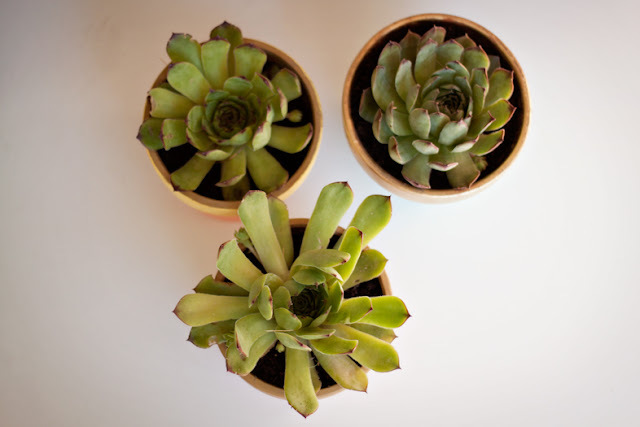 Add soil to your pot, plant your succulent (or whatever plant you choose), add some water, then put it in a place where it will get enough sunlight. It's amazing what a little greenery can do to a room. 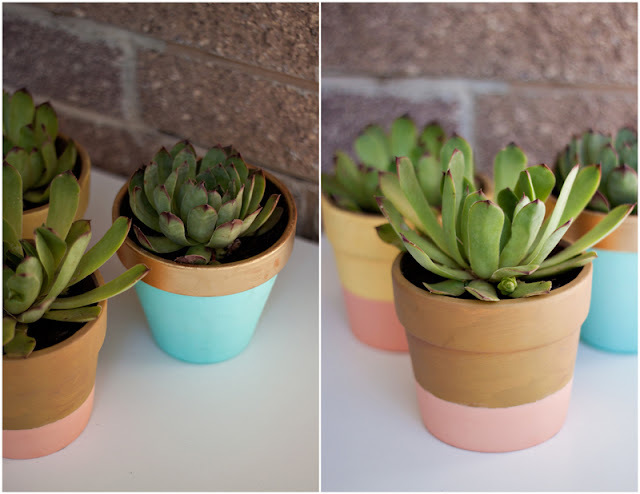 Now go have fun painting your own terra cotta pot! I'd love to see what creative things you come up with. Such a cute project Christal! I am a sucker for succulents too, probably because I literally kill everything else. oh i LOVE these! lately i've been obsessed with succulents. i'm using them for decorations at my wedding next month!